10/10/14 -- Soycomplex: Beans closed the thick end of 20 cents lower in predictably choppy trade, with the USDA's October WASDE report out mid-session. On the face of it 2014 US soybean yields and production were pegged lower than the average trade estimates, and 2014/15 ending stocks were reduced from a month ago. The market initially moved higher, but eventually settled very close to the lows of the day, perhaps on the realisation that yields, production an stocks are all still at record levels. It is also entirely possible that further increases are still to come for this crop. The bare numbers had yields at 47.1 bu/acre this year, that's up 0.5 bu/acre from last month, but a similar figure below the average trade guess. Production was forecast at 3.927 billion bushels, up only 14 million versus last month due to a larger than anticipated reduction in harvested acres. Trade estimates had been for production of 3.976 billion bushels. New crop US soybean ending stocks were cut from the 475 million bushels forecast a month ago to 450 million this time round. "The fact that the 25 million bushels reduction came from lower carryin, and not a result of increased demand estimates was probably the nail in the coffin as today’s 20-cent lower trade erased all most all of this week’s gains," said Benson Quinn Commodities. At the end of the day whether new crop ending stocks are 450 or 475 million, that's still a lot of soybeans - and an almost fivefold increase compared to the end of the 2013/14 marketing year that's just finished. There were no changes to 2014/15 soybean production in Brazil, Argentina or Paraguay. China's crop was trimmed slightly from 12 MMT to 11.8 MMT. China's import requirement was left unchanged at 74 MMT. Global 2014/15 ending stocks were tweaked a little higher to 90.7 MMT, a more than 36% increase compared to last season, and also a record volume by some distance. Nov 14 Soybeans closed at $9.22 1/2, down 19 1/2 cents; Jan 15 Soybeans closed at $9.30 1/2, down 19 1/2 cents; Oct 14 Soybean Meal closed at $339.30, up $6.30; Oct 14 Soybean Oil closed at 32.28, down 60 points. For the week that puts Nov 14 beans up 10 1/4 cents, with Oct 14 meal up $31.30 and oil virtually identical to last Friday. 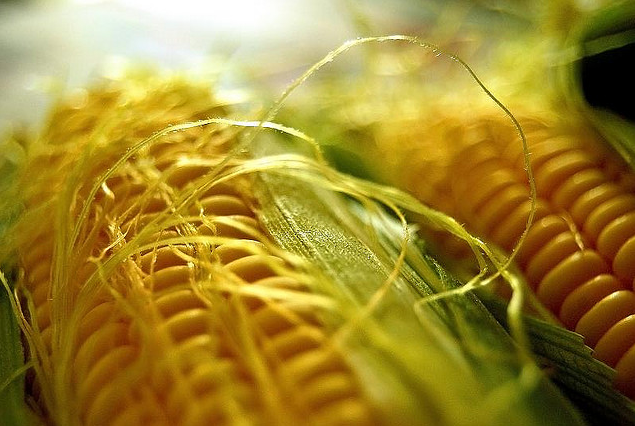 Corn: The corn market fell around 10 cents, but was still a little higher for the week. The USDA estimated 2014 US corn yields at 174.2 bu/acre, up 2.5 bu/acre from a month ago, although half a bushel below the average trade guess. Production was seen 80 million bushels higher at 14.475 billion, although again this was slightly lower than the average trade guess of just over 14.5 billion. As with beans, US 2014/15 carryout came in at less than the trade was expecting (2.081 billion bushels versus the anticipated 2.13 billion), but that was still up from a month ago (2.002 billion) and much higher than in the season just ended. World ending stocks for 2014/15 were pegged at 190.6 MMT versus 173 MMT in 2013/14. Corn initially moved higher following the release of the numbers, but as with beans the trade seemingly readjusted their viewpoint, and after digesting the figures in a bit more detail, the market ultimately slipped away to close near the lows of the day and erasing around half of this week's gains. Closer to home, "EU corn imports for 2014/15 are forecast to drop over 50 percent (9 million tons) from last year because of a record corn crop and abundant supplies of other feed grains. This follows an upward trend in EU corn imports for most of the last 6 years. Elevated global corn prices spurred production, particularly in Ukraine and Brazil," they said. "This year, reduced EU corn imports will drive global trade lower. This in turn will mean intensified competition for exporters. Ukraine, with a freight advantage and nonbiotech corn supplies, has been the EU’s largest supplier in recent years with trade in 2013/14 likely to reach 10 million tons. A second consecutive record U.S. crop will struggle to find export demand, and stocks will build yet again. With abundant supplies in most exporting countries, there will be continued pressure on prices," they added. EU-28 corn imports are now seen at 7.2 MMT in 2014/15, down more than 3 MMT from the 10.3 MMT forecast only a month ago and compared to the 16.3 MMT shipped in last season. In other news the USDA announced almost 1.5 MMT of US corn sold to Mexico split over the 2014/15 and 2015/16 marketing years. Dec 14 Corn closed at $3.34, down 10 3/4 cents; Mar 15 Corn closed at $3.46 3/4, down 11 cents. For the week Dec 14 corn still gained 10 3/4 cents. Wheat: The wheat market closed mixed, with Chicago and Kansas ending higher and Minneapolis a little lower. This report was expected to be more about corn and beans than wheat, but a mildly friendly tone to it lent support to wheat today. As with the other pits though, early gains quickly got eroded, although the wheat market also still did manage to end the week higher than it began it. The stand out figure for US wheat was the lowering of 2014/15 ending stocks from the 698 million bushels estimated a month ago to 654 million. The trade was expecting a small increase to 704 million, which is what caused the initial excitement, although prices ended the day around 10-15 cents off the intra day highs across the three exchanges. "US Production for 2014/15 is raised 5 million bushels based on the latest estimate from the September 30 Small Grains 2014 Summary," they said. However "increased production is more than offset by higher feed and residual disappearance and higher exports," they added. US wheat exports in 2014/15 were raised from 25 MMT to 25.5 MMT, although that's still a 6 MMT (or 19%) reduction on last season. The EU-28's wheat export potential was also increased from 26 MMT to 28 MT, although again that's still almost 4 MMT below those in 2013/14. They will be helped by a 3 MMT rise in Europe's wheat crop from last month's forecast to a record 154 MMT. Ukraine's crop was raised 0.5 MMT to 24.5 MMT, Kazakhstan's was lowered from 13.5 MMT to 12.5 MMT and Russia's was left on hold at 59 MMT. Australia's wheat crop was cut modestly from 25.5 MMT to 25.0 MMT. Many other estimates are now a bit lower than that. World wheat production at 721 MMT is now only 7 MMT above projected consumption, last month it was estimated almost 10 MMT higher. World ending stocks in 2014/15 are now seen at 192.6 MMT, down from the 196.4 MMT estimated last month, but still up 3.8% compared to the end of last season. In other news, Egypt's GASC bought two cargoes of French wheat and one of Russian for Nov 11-20 shipment. The FAO estimated the 2014 world wheat crop at 719 MMT versus a previous estimate of 717 MMT. Dec 14 CBOT Wheat closed at $4.98 1/2, up 5 1/4 cents; Dec 14 KCBT Wheat closed at $5.77 3/4, up 5 cents; Dec 14 MGEX Wheat closed at $5.53 1/4, down 1/4 cent. For the week that puts Chicago wheat 12 3/4 cents higher, with Kansas and Minneapolis both up 9 3/4 cents. 10/10/14 -- EU grains ended the day mixed, and with overall little change at the end of a fairly choppy week. The day ended with Nov 14 London wheat up GBP0.45/tonne to GBP112.75/tonne, Nov 14 Paris wheat closed EUR1.50/tonne higher at EUR158.75/tonne, Nov 14 Paris corn was up EUR1.50/tonne to EUR140.75/tonne, whilst Nov 14 Paris rapeseed was EUR2.25/tonne easier at EUR324.00/tonne. For the week London wheat managed a GBP1.25/tonne gain, with Paris wheat up a quarter of a euro, corn down three quarters and rapeseed down one. Egypt's GASC were back in the market, tendering for wheat for Nov 11-20 shipment. They finished up buying two cargoes (120 TMT) of French and one (55 TMT) of Russian wheat. French wheat was priced around $6/tonne cheaper than the Russian wheat on a cost and freight basis, even with a freight disadvantage. They've now bought 5.46 MMT of wheat on the international market so far this marketing year. They say that they've also purchased 3.7 MMT on the domestic market. So we now know that French wheat is still the most competitive origin around, which is fortunate whilst they have so much of it. The credibility of the MATIF contract took another blow with the Socomac silo in Rouen saying it was 90% full and was temporarily suspending the intake of wheat. The only other current delivery point against the contract, the Senalia silo, already hung up the "full" sign in September. If the situation stays like this then anyone short of Nov 14 Paris wheat and intending to make a delivery against their contract would find it physically impossible to do so. It could be that they would then therefore be forced to close out the contract in the market, which may falsely support the Nov 14 contract in the remaining 4 weeks of trade between now and when the contract expires on Nov 10th. It could also widen the gap between the futures and physical markets, the wheat that the short was intending to deliver is still there and is now looking for a new home after all. The Nov 14 MATIF contract currently carries an open interest of well over 100,000 lots, which is more than 5 MMT. Even if Socomac were to squeeze in that extra 10%, and at the moment they are not even saying that they could, that's only enough room to allow for 340 contracts to be delivered against the Nov 14 position. Back home, Defra pegged the UK 2014 wheat crop at 16.6 MMT, a 39% hike on last year's output, and the largest since the record 17.2 MMT crop of 2008. (Incidentally, on this day in 2008 London wheat was closing below GBP90/tonne for the first time for a front-month since September 2006). Defra also estimated the UK barley crop at 7.0 MMT, which is barely changed from 7.1 MMT a year ago, despite a 14% drop in plantings in England and a 4% decline in Scotland. Late in the day the USDA released their latest World Supply and Demand estimates. They upped the size of the 2014 EU-28 wheat crop by 3 MMT from last month to an all time high 154 MMT, up 10.8 MMT or 7.6 percent from last year. 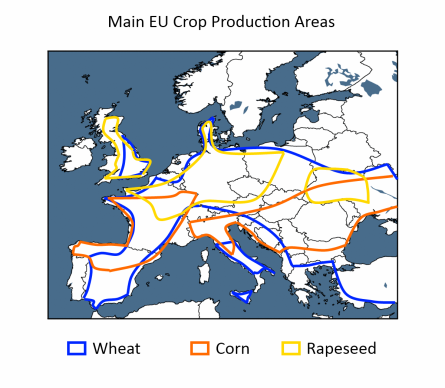 "Harvesting is now finished in the EU and production is being revised upward. 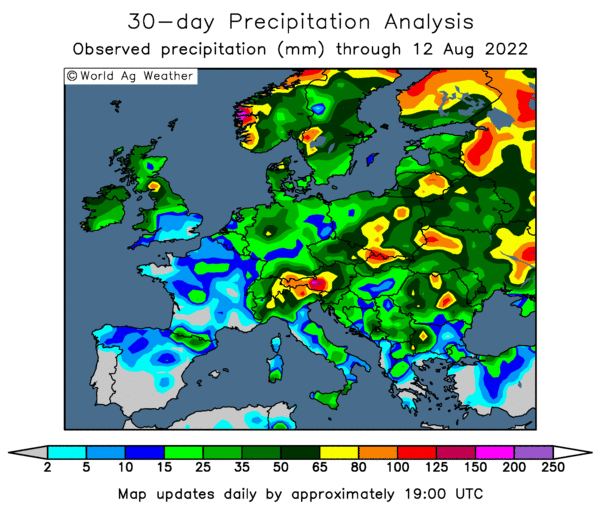 Rain during the wheat’s grainfill stage in June and July greatly boosted yields, turning a crop that had been moisture deficient into a bin-buster, albeit with quality issues," they said. They also increased the size of this year's EU barley crop to 59.3 MMT, up 2.3 MMT or 4 percent from last month, and down only a relatively modest 0.4 MMT or 0.6 percent from last year. For the record, they put the UK wheat crop at 16.6 MMT, with barley output at 6.5 MMT and the 2014 OSR harvest at 2.57 MMT. 09/10/14 -- Chicago Market Report: There will be no Chicago grain market closing report tonight due to my attendance at the Hull Corn Trade Dinner. As I leave the office wheat is trading around 6-8 cents lower on the overnight Globex market, with corn 1-2 cents lower and beans 2-4 cents higher. Wheat looks to be giving up some of it's recent gains heading into tomorrow's all important USDA report. MDA CropCast today increased their forecast for Brazilian wheat production this year to a record 8.1 MMT, up from 7.8 MMT a week ago and versus 6.7 MMT last year. They left their Australian wheat production estimate unchanged at 24.04 MMT, although there are rumblings of lower forecasts elsewhere. They also raised their US corn production estimate by 41 million bushels from a week ago to 14.547 billion bushels, or 369.5 MMT - an increase of more than 6% on last year. They upped their US soybean forecast by 31 million bushels to 3.850 billion, or 104.79 MMT - a more than 20% hike compared to last year. In addition to that, they raised their estimate for the hitherto unplanted new Argentine soybean crop by 1 MMT to a new record 56.65 MMT, which is more than 4% up versus 2013/14. For Brazil they were unchanged at 93.95 MMT, also a record and a more than 7% rise compared to 2013/14. 09/10/14 -- EU grains trade mostly lower, consolidating from recent gains, on rising world stockpiles and an abundance of competing raw materials. In afternoon dealings Nov 14 London wheat is down GBP0.55/tonne to GBP113.10/tonne, Nov 14 Paris wheat trades EUR2.00/tonne lower at EUR158.25/tonne, Nov 14 Paris corn has fallen EUR1.75/tonne to EUR139.00/tonne, whilst Nov 14 Paris rapeseed is EUR1.00/tonne easier at EUR327.00/tonne. FranceAgriMer yesterday pegged French wheat carryout at the end of 2014/15 at 4.416 MMT - a 10 year high and 88% more than at the end of 2013/14. Despite the rise in French wheat production this year, quality issues mean that exports will fall 15.6% year-on-year to 16.775 MMT, they estimated. Competition for wheat in animal feed rations will come from barley and corn. France will export 7.35 MMT of the former (an 11% rise versus 2013/14) and 6.075 MMT of the latter (a 10.6% increase), they forecast. Despite the rise in exports, bumper corn production this year will still see 2014/15 ending stocks rise 61% year-on-year to 3.7 MMT, they added. Tunisia said that they will increase grain plantings for the 2015 harvest by 10% to 1.454 million hectares. Fieldwork has begun following recent rains, and winter grain planting will take place in November and December. Russia said that it had now harvested 101.7 MMT of grains off 90.1% of the planned area. Wheat accounts for 59.6 MMT of that total, with barley adding 20.7 MMT and corn a further 6.5 MMT. Harvesting of the latter is now 52.5% complete. They also said that Russian growers had already planted winter grains for the 2015 harvest on 13.7 million hectares, or 82.5% of the Ministry target. That's up sharply from 9.1 million ha this time a year ago. Rain would now be welcome, but the forecast remains dry. APK Inform estimated the Ukraine 2014 grain harvest at 60.6 MMT, the second largest on record after last year. That's only a relatively modest drop of 3.9% versus 2013, especially considering the loss of Crimea and the fact that some parts of the country are expected to remain unharvested. They said that, despite the small decline in output versus last year, Jul/Sep grain exports were up 68% compared to the same period in 2013/14 at 8.5 MMT. UkrAgroConsult estimated the Ukraine 2014 rapeseed harvest at 2.15 MMT, a fall of 8.5% on last year. Exports will decline 12.7% to 1.94 MMT, they said. 08/10/14 -- Soycomplex: Beans closed slightly lower. The prospect for higher US yields and production in Friday's USDA report weighs, but the late nature of the harvest and weather forecasts that aren't too friendly as far as rapid progress to be made are supportive factors. Lanworth forecast US soybean yields at 47.9 bu/acre, which is slightly above the average trade expectation of 47.6 bu/acre for Friday's report and up from 47.1 bu/acre previously. They now see production at 3.947 billion bushels, up from 3.880 billion previously. The USDA attaché in Argentina estimated 2014/15 soybean plantings at 21.0 million ha, up 1 million ha from 2013/14 and with production next year at a record 57 MMT. They also see carryover stocks from this season at a hefty 12.6 MMT due to Argentine farmers holding onto beans as a hedge against inflation and the weak peso. The Argentine cabinet chief is quoted on Reuters as saying that the cash-strapped government will use "all the tools" available to it to force farmers to sell their beans, without specifically saying what they intend to do. Argentine soybean exports are currently taxed at the rate of 35%. Oil World estimated Ukraine’s 2014 rapeseed crop at 2.2 MMT versus 2.4 MMT a year ago. They see exports at 1.9 MMT versus 2.2 MMT a year ago. The USDA attaché in China estimated China’s 2014/15 soybean imports at 72.0 MMT. Northern Brazil remains largely too dry to plant soybeans just yet. Trade estimates for tomorrow's weekly export sales report for beans are around 500-900 TMT. Nov 14 Soybeans closed at $9.35, down 5 3/4 cents; Jan 15 Soybeans closed at $9.43 1/2, down 5 3/4 cents; Oct 14 Soybean Meal closed at $329.80, up $2.80; Oct 14 Soybean Oil closed at 32.88, down 8 points. Corn: The corn market closed around 2-3 cents higher on harvest delays. "Trade was orderly and volume was much smaller than the previous session," noted Benson Quinn Commodities. "Current weather forecasts aren’t pointing at an impending crisis, but merit some attention as an area stretching from the southern plains through Missouri, into S Illinois and along the Ohio River valley is slated for potentially heavy rains through the weekend and into next week," they said. Lanworth estimated US corn yields at 175.5 bu/acre versus 174.9 bu/acre previously and the USDA's 171.7 bu/acre in September. They now see the 2014 US corn crop at 14.647 billion bushels compared to their previous forecast of 14.596 billion and the USDA's September estimate of 14.395 billion. You can put the word "record" in front of all those numbers as this year's crop goes off the chart compared to everything that's gone before. FranceAgriMer estimated French 2014/15 corn ending stocks at 3.7 MMT, up 61% versus 2013/14. They said that France had exported 568,000 MT of corn in July versus 650,000 MT a year previously. APK Inform estimated the Russian corn crop at 12.3 MMT, a 6% rise compared to last year. IKAR estimated Russia’s 2014 corn crop at 12.7 MMT. The Russian Ministry said that this year's corn harvest was 52% complete at 6.4 MMT. The US Energy Dept reported weekly ethanol production up 20,000 barrels/day. Trade estimates for tomorrow's weekly export sales report for corn are in the region of 550-750 TMT. Dec 14 Corn closed at $3.43 1/4, up 2 3/4 cents; Mar 15 Corn closed at $3.56 1/2, up 3 cents. Wheat: The wheat market closed barely changed. South Korea bought 81,000 MT of Australian wheat for March shipment, along with 25,600 MT of US milling wheat for Feb-March shipment. Dr Cordonnier said that the price of wheat in Brazil is below the cost of production, which may be discouraging growers there to apply sprays to combat diseases due to excessive wetness due to cost reasons. In addition there's 350 TMT of old crop wheat still sat in government silos in the midst of harvesting of their new crop. A Brazilian wheat auction today attracted little interest, with less than half of the offered 140,000 MT finding a buyer. Some analysts are now estimating the Australian wheat crop at only 21-22 MMT versus 27 MMT last year and the USDA's current 25.5 MMT forecast. IKAR cut their Russian wheat production forecast to 58.5 MMT from 60 MMT previously. The Russian Ag Ministry say that the country has already harvested 59.5 MMT of wheat in bunker weight off 90.6% of the planned area. They also say that winter grain plantings are already complete on 13.4 million ha versus only 8.7 million a year ago. SovEcon noted that much of the planted area remains dry. "This is an issue, in that it may result in weak winter grain emergence, and increased winterkill losses," they told Agrimoney. Russia's intervention purchase program is off to a stuttering start, with only 83,680 MT bought so far. Trade estimates for tomorrow's weekly export sales report for wheat are in the region of 400-600 TMT. Dec 14 CBOT Wheat closed at $5.07 3/4, up 1 1/2 cents; Dec 14 KCBT Wheat closed at $5.86 1/2, down 1 3/4 cents; Dec 14 MGEX Wheat closed at $5.65, down 1/2 cent. 08/10/14 -- EU grains closed mostly a little lower in more orderly trade than we have seen in the past couple of days. The day ended with Nov 14 London wheat down GBP0.85/tonne at GBP113.65/tonne, Nov 14 Paris wheat was down EUR2.50/tonne at EUR160.25/tonne, Nov 14 Paris corn was down EUR3.00/tonne at EUR140.75/tonne and Nov 14 Paris rapeseed fell EUR2.75/tonne to EUR328.00/tonne. The erratic nature seen in the last two sessions was missing today, with fresh news relatively thin on the ground. It may be that traders have now positioned themselves where they want to be ahead of Friday's USDA report, so trade ahead of the release of that could be quiet. It's front month Nov 14 London wheat that's been particularly volatile these last few days as traders exit their positions before the contract is in delivery. "This process can sometimes lead to the contract in question becoming more technical with prices reacting to who is long or short, rather than being representative of the overall market place," said the HGCA today. They suggest growers to switch their attention to the May 15 contract, which now has a larger open interest, for a more reliable barometer to what the market is really doing. The NFU reported the highest UK wheat yield on record thanks to ‘perfect’ weather and crop protection. They see average yields in 2014 at 8.6 MT/ha, at the top end of the ADAS estimate of 8.4-8.6 MT/ha released earlier in the week. That would represent a 16% increase on last year, which would be the largest percentage rise in 30 years, they say. They forecast wheat production (excluding Northern Ireland) at 16.67 MMT, using area estimates from the HGCA. That would be a 40% jump on last year's disappointing crop. Separately, the Scottish Agricultural Census pegged cereal plantings north of the border at 462k ha for the 2014 harvest - the highest since 1998. 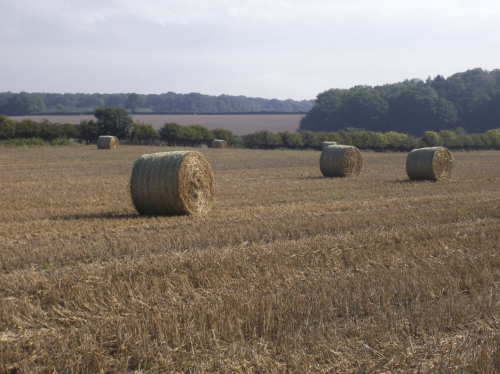 Defra will release their official UK crop production estimates on Friday. There's been a lot of talk lately of Russia stepping away from the export market. They exported around 11.5-11.7 MMT of grain in the first quarter of 2014/15 (Jul/Sep). That's in the region of 38-39% of the 30 MMT what they are expected to ship out during the whole of the marketing year. Whilst shipments are declining month-on-month, they are still holding up pretty well though. August exports were around 4.6-4.7 MMT (a record for any month), falling to about 3.7 MMT in September, and with an anticipated further step down to 3.0 MMT in October. Harsher winter weather, if and when it arrives, can also lead to a seasonal disruption in Russia's grain exports. Current weather conditions in Russia are unusually dry, in contrast to excessively wet this time a year ago. That has enabled rapid progress to be made with winter plantings for the 2015 harvest. These have already been completed on 13.4 million hectares, or 81.5% of the anticipated area, and are far higher than the 8.7 million ha sown this time a year ago. 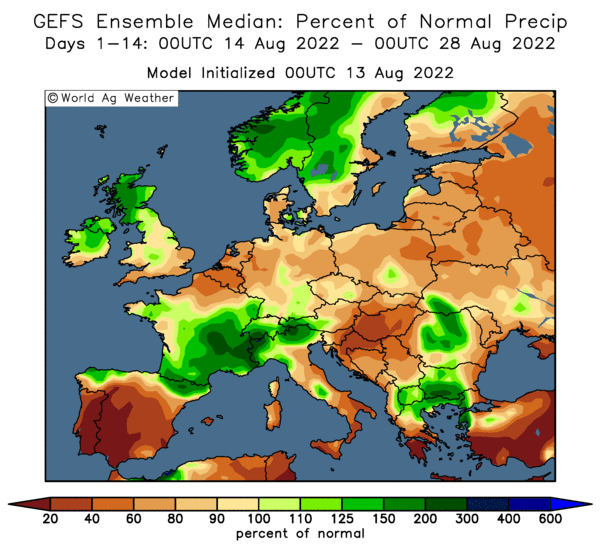 These crops could now do with some moisture, to help establishment ahead of winter, but the 14 day forecast remains dry for much of the major winter cropping areas in the southern and central regions. Russia bought 26,865 MT of grain for its intervention fund today, taking the total bought so far to 83,680 MT since this season's program was launched on September 30. The government's stated aim is to procure up to 5 MMT of grain, so they haven't made much of a dent in that target yet. 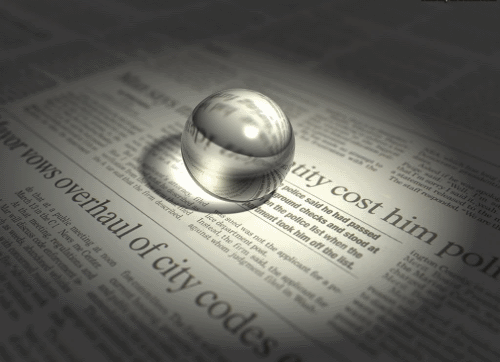 An acutely weak rouble means that selling to exporters potentially offers better returns. Much of the grain that the intervention fund has picked up has apparently been in recently acquired Crimea, where exporting it is nigh on impossible due to the political situation there. The Russian Ministry said that the country's 2014 grain harvest now stands at 101.5 MMT, with 10% of the planned area still to be cut. Wheat accounts for 59.5 MMT of that total and barley a further 20.7 MMT. The country's corn harvest is only just past halfway, at 52% done, producing a crop of 6.4 MMT so far. APK Inform estimate final corn production this year at 12.3 MMT, a 6% rise on last year. 07/10/14 -- Soycomplex: Beans closed narrowly mixed as traders position themselves where they want to be heading into Friday's WASDE report from the USDA. A Reuters survey puts the average US soybean yield at 47.6 bu/acre this year, with production at just under 4 billion bushels. 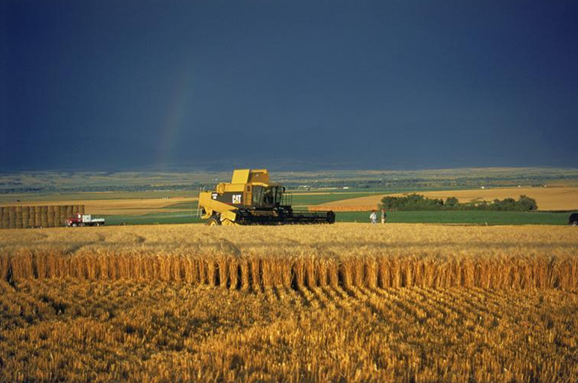 Yields last year were 43.3 bu/acre, with production at just under 3.3 billion bushels. "Daily volume was huge as funds covered shorts on technically rally and producer rewarded market with late day selling," said Benson Quinn Commodities. It looks like the producer is now viewing any rally attempt as a selling opportunity. Market talk continues to be "where the heck are we going to store all these beans and corn?" The delayed harvest may simply mean delayed harvest pressure. FCStone estimated the Brazilian 2014/15 soybean crop at a record 93.22 MMT. Nov 14 Soybeans closed at $9.40 3/4, down 1 1/2 cents; Jan 15 Soybeans closed at $9.49 1/4, down 1 1/4 cents; Oct 14 Soybean Meal closed at $327.00, up $6.70; Oct 14 Soybean Oil closed at 32.96, down 36 points. Corn: The corn market posted decent gains for a second day. The average trade estimate for Friday's USDA report sees US 2014 corn production at a smidgen over 14.5 billion bushels, with the average yield estimate at 174.7 bu/acre. The USDA were at 14.395 billion bushels and 171.7 bu/acre in September. Production last year was 13.925 billion bushels and yields were 158.8 bu/acre, so these average estimates represent a production gain of 4% and a yield increase of 10% versus 2013. Informa estimated the world corn crop at 982.5 MMT, up from 974.2 MMT previously, although still 6 MMT less than a year ago and 5 MMT below where the USDA currently line up. FCStone estimated the Brazilian corn crop in 2014/15 at 76.97 MMT. A continued wet US weather forecast for next week will likely keep harvest pace behind schedule. Wheat futures rising back up above $5/bu added some support to corn today, as did a slightly weaker dollar. Dec 14 Corn closed at $3.40 1/2, up 8 cents; Mar 15 Corn closed at $3.53 1/2, up 8 1/4 cents. 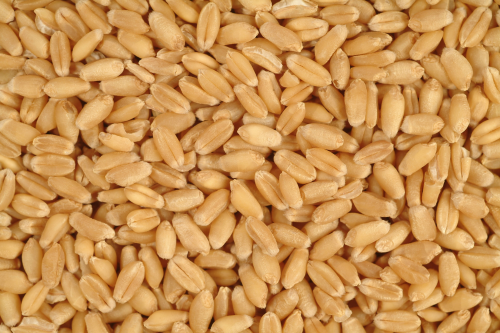 Wheat: The wheat market closed with double digit gains across the three exchanges. Short covering ahead of Friday's USDA report was a feature. Quality concerns remain around the globe this year, even if quantity isn't a problem. Informa raised their estimate for the global wheat crop to a new all time high 726.1 MMT, which is more than 12 MMT up on last year and also 6.2 MMT above the USDA's current forecast. They have the US crop at 55.4 MMT versus 55.2 MMT from the USDA. They also see Brazil's crop rebounding by 40% compared to last year to a record 7.7 MMT. That will cut US exports to the region. The USDA currently only have the Brazilian 2014/15 wheat crop at 6.3 MMT. Informa now see the Russian wheat crop at 61 MMT, up 17% versus last year and 2 MMT more than the USDA. They also forecast China's wheat crop this year at 124.9 MMT, up 3 MMT from a year ago, although 1.1 MMT below the USDA. Europe's wheat crop was pegged at 153 MMT, up 3% from last year and 2.1 MMT higher than the USDA. Dec 14 CBOT Wheat closed at $5.06 1/4, up 14 3/4 cents; Dec 14 KCBT Wheat closed at $5.88 1/4, up 12 3/4 cents; Dec 14 MGEX Wheat closed at $5.65 1/2, up 13 3/4 cents. 07/10/14 -- EU grains ended a choppy session mixed. London wheat jumped out of the starting stalls aggressively, trading GBP3.50/tonne higher in early trade, before quickly retreating into the red, but finally closing modestly higher. The day ended with Nov 14 London wheat up GBP1.00/tonne to GBP114.50/tonne, Nov 14 Paris wheat closed EUR2.50/tonne higher at EUR162.75/tonne, Nov 14 Paris corn was down EUR0.25/tonne to EUR143.75/tonne, whilst Nov 14 Paris rapeseed was EUR0.50/tonne firmer at EUR330.75/tonne. Informa Economics raised their estimate for the world wheat crop in 2014/15 to a record 726.1 MMT, up from a previous forecast of 722.1 MMT and up 1.7% versus last year. It is also 6.2 MMT higher than the USDA's September estimate. Informa now see production in Europe this year at 153 MMT, up 3% from a year ago and 2.1 MMT more than where the USDA currently sit. They raised their estimate for wheat production in Russia to 61 MMT, which is 2 MMT above the USDA, and a 17% jump versus 2013. They also increased their outlook for the EU-28 corn crop this year from 70 MMT to 70.6 MMT, a more than 10% increase compared to a year ago and 2.3 MMT more than the USDA. The Russian Ag Ministry said that this year's grain harvest had now surpassed the 100 MMT mark with more than 10% of the crop still to be harvested. They have output currently at 100.5 MMT off 89.3% of plan. Wheat accounts for 59.3 MMT of that total, off 90.2% of the planned area, with barley adding a further 20.6 MMT (off 95.4% of plan). The Russian corn harvest is approaching the halfway point at 47.8% done, producing a crop of 5.8 MMT so far. Russian winter grain plantings (mostly wheat) for the 2015 harvest are already complete on 12.9 million hectares, or 78.2% of plan, they added. Progress has been brisk, only 8.7 million ha had been planted this time last year, aided by much drier conditions than 12 months ago. The newly planted crop could do with a drink to help it get established before winter sets in, but there's precious little in the 14 day forecast. The same could be said of Ukraine. The USDA's FAS in Germany estimated the 2014 grain crop there at 52 MMT, up 8.8% on a year ago. That includes 27.5 MMT of winter wheat (+11.8%), 9.6 MMT of winter barley (+14.3%) and 4.7 MMT of corn (+6.8%). 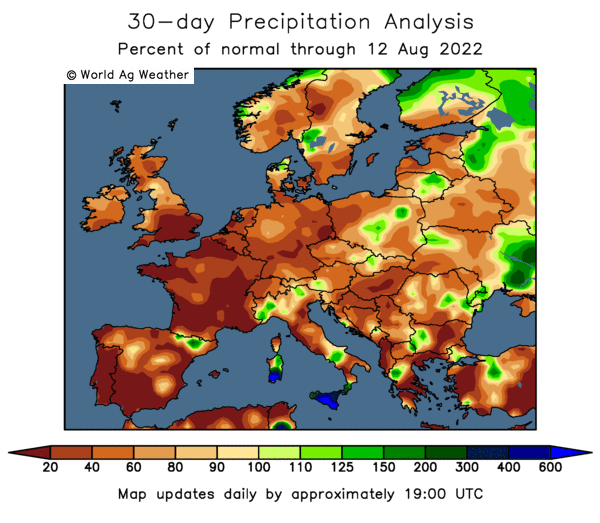 ADAS said that the UK wheat harvest is 99% complete, with average yields this year at 8.4-8.6 MT/ha, around 10% higher than the preceding 5-year average. They said that the barley harvest is over, with the winter crop yielding 7.2-7.4 MT/ha (+14% versus the 10 year average) and the spring crop 6.0-6.3 MT/ha (+8%). They pegged UK winter OSR yields at an average of 3.3-3.6 MT/ha, which is a bit better than the 10-year average of 3.3 MT/ha. The 2014 spring OSR crop is 90% harvested, with an average yield in line with the 5-year average at 2.0 MT/ha, they added. For the 2015 harvest, winter OSR was 100% planted by mid-September, with winter wheat around 20% planted by the end of last month, and winter barley some 10% sown. Both those wheat and barley estimates sound a bit on the low side to me. There has been some flea beetle damage to newly planted winter OSR, with an estimated 3% of the crop lost to the pest, they said. 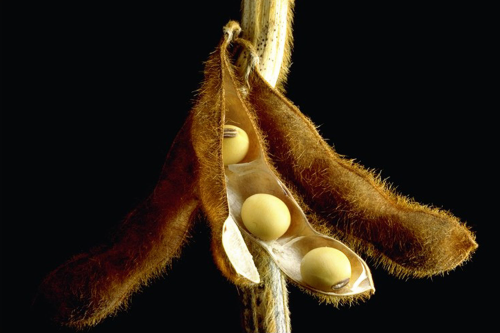 06/10/14 -- Soycomplex: Beans closed sharply higher as talk of possible weekend frost damage in the upper Midwest and northern Plains did the rounds. "With the November contract closing up 30-cents, this was the largest one day gain for a front month contract since the back-to-back two day rally in the expiring August contract on Aug 8 and 11," said Benson Quinn Commodities. Further south and east it's rain that's the problem, further stalling the already late harvest. Elsewhere there's also chatter about southern Brazil being too wet and northern Brazil being too dry! Given the existing heavily oversold nature of the soybean market it doesn't take a lot to provoke a short covering rally like this one. Weekly export inspections for beans came in at a quite impressive 974,341 MT today. Cumulative exports are now 35% ahead of where they were this time a year ago. After the close the USDA estimated the 2014 US soybean harvest at 20% complete, up from 10% a week ago, but well behind the 5-year average pace of 35% done. They increased good to excellent crop conditions by one point to 73%. They said that 83% of the crop is dropping leaves versus 84% normally. Nov 14 Soybeans closed at $9.42 1/4, up 30 cents; Jan 15 Soybeans closed at $9.50 1/2, up 30 cents; Oct 14 Soybean Meal closed at $320.30, up $12.30; Oct 14 Soybean Oil closed at 33.32, up 103 points. 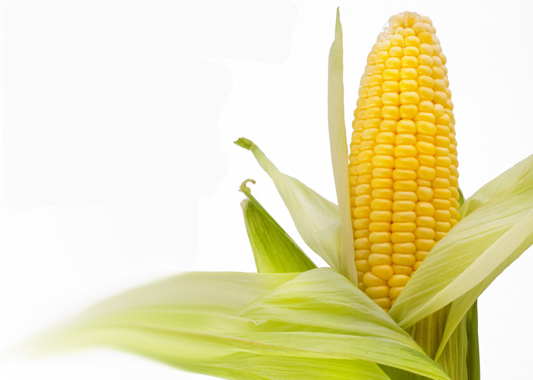 Corn: The corn market closed around 9 cents higher. Again it was frost talk for a delayed US corn crop that added the bullish momentum. "Conditions have been unseasonably cold the past few mornings in the northern corn belt with freezing temperatures in immature corn. Saturday morning temperatures bottomed out at 30-32 F in eastern South Dakota, Nebraska, northern Iowa, southern Minnesota and western Wisconsin. North Dakota, not a major corn state, experienced a hard freeze with temperatures as low as 28 F. Only 60% of US corn was ripe and 'safe from frost' as of September 29, compared to 79% on average 1985-2013. An exceptionally cool July proved to be a mixed blessing, promoting favourable pollinating conditions in corn that increased yields, but also slowing down corn development," said Martell Crop Projections. "The forecast continues cool, calling for temperatures 4 - 10 F below average in the upcoming week. The jet stream would carve out a cool trough that becomes entrenched over the Great Lakes and Midwest. A hard freeze is not indicated, though minimum temperatures may drop to 37 F or 38 F on a couple nights," they added. None of that sounds too threatening to me. After the close the USDA said that the 2014 US corn harvest had only advanced 5 points from a week ago to 17% complete as of Sunday night. Some estimates had been for this year's crop to be 25-30% harvested by now. The 5 year average is 32%. Good to excellent conditions were unchanged at 74%. Dec 14 Corn closed at $3.32 1/2, up 9 1/4 cents; Mar 15 Corn closed at $3.45 1/4, up 9 cents. Wheat: The wheat market closed around 5 to 8 cents higher, supported by corn. The frost talk isn't really an issue for US wheat, with the spring wheat harvest now 96% complete. Further south, the outlook for winter wheat for 2015 is improving. "Hurricane Simon - southwest of Baja in Mexico - is expected to move onshore spreading a swath of heavy, soaking rains into the Southwest US Desert. Soaking rains would then spread east across the middle and lower Mississippi Valley reaching the Appalachian Mountains. Winter wheat farms in Texas, Oklahoma and Kansas would benefit from showers, boosting topsoil moisture for wheat planting and development," said Martell Crop Projections. "Indeed the 2015 wheat crop is off to a favourable start with mostly good field moisture. This is sharp contrast from the severe fall drought a year ago, during the fall planting campaign that hampered wheat development, ultimately turning into a historic drought that shrank the bread-wheat harvest by 30%," they added. The USDA put winter wheat plantings at 56% complete, up from 43% a week ago and 3 points ahead of the 5-year average. Winter wheat emergence is at 28% versus 24% on average at this time. In other news, Oman bought 60,000 MT of German wheat for Jan shipment. Thailand bought 120,000 MT of Black Sea origin wheat for December shipment. Weekly export inspections were reasonably good at 650,560 MT. Dec 14 CBOT Wheat closed at $4.91 1/2, up 5 3/4 cents; Dec 14 KCBT Wheat closed at $5.75 1/2, up 7 1/2 cents; Dec 14 MGEX Wheat closed at $5.51 3/4, up 8 1/4 cents. EU Grains Rise, Are The Lows Now In? 06/10/14 -- EU grains began the week strongly, racing sharply higher early in the session, although giving up some of those gains by the close. The day ended with Nov 14 London wheat up GBP2.00/tonne to GBP113.50/tonne, Nov 14 Paris wheat closing EUR1.75/tonne higher at EUR160.25/tonne, Nov 14 Paris corn was up EUR2.50/tonne to EUR144.00/tonne, whilst Nov 14 Paris rapeseed was EUR6.25/tonne firmer at EUR331.25/tonne. For Nov 14 London wheat, which reached GBP116.50/tonne at one point, this was the highest close since Sep 17, and for Paris wheat it was the first finish above EUR160/tonne since the same date. For rapeseed it was the highest close since Jul 14. The question that everybody is asking is "are the lows now in?" We probably won't know the answer to that until at least next week, depending on what the USDA have to say on Friday. It was interesting to see rapeseed put in such a strong performance on a day when Strategie Grains increased their forecast for the EU-28 2014 rapeseed crop to a new record 23.8 MMT, up from 23.2 MMT previously and almost 13% above last year's 21.1 MMT. The new figure is 400 TMT higher than the USDA's current estimate and less than 1 MMT away from the EU-28's projected consumption requirement this season (set at 24.7 MMT by the USDA). The French analysts forecast the EU-28 rapeseed area for the 2015 harvest at 6.5 million ha, down a relatively modest 3% versus this year. The French Farm Ministry estimated this year's corn crop at 16.3 MMT, up 11% on last year. Some private estimates are considerably higher, in the 17-18 MMT range. The Ministry placed this year's French wheat crop at 37.5 MMT, up 1.7% on last year, with barley production up 14% to 11.75 MMT. The French markets got a boost today from the continuing weakness of the euro, which will aid exports. These have already been buoyant so far this season. Today's strength in London wheat is a bit more difficult to explain, and can perhaps be best attributed to a technical recovery from a 5-month long price slump. "I think that one or two shorts got spooked a little by the early strength and decided to bank some profits and get out," one trader told me. The rise won't make UK feed wheat any more competitive on the export front though. Meanwhile the domestic end user remains well covered, at least through until Christmas. Feed demand is relatively slack, and there are plenty of other attractively priced raw materials to pick from. 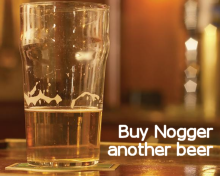 The farmer's reluctance to sell is currently well matched by the feed compounder's apathy with regards to buying! 06/10/14 -- It's a big week for the grain markets this week. Will the USDA deliver the market one last final kick in the nuts, or are the seasonal lows now in? The overnight grains and early trade in Europe is all in green. Nearby Nov 14 London wheat is in danger of getting nosebleed at the lofty heights of GBP115/tonne as I write! What it's doing up there I'm not really sure. I can buy into the notion that quality milling wheat could/should move higher, with Russia seemingly out of the market already (despite a large crop of their own). Indeed the fact that they have been comfortably out-priced in recent Egyptian tenders does make you wonder "are the Russian crops really as big as the Ministry are saying?" OK, domestic demand is expected to be up this year due to increased livestock feeding, but whilst SovEcon have that 4 MMT higher, production of 104 MMT (if it really is there) is now almost 13 MMT higher than last season's crop. If the Russian's are deliberately inflating their 2014 grain production estimates higher than the reality, in a two-fingered gesture to the West, then the Ukraine Ministry also appear to be playing the same game. They reckon that Ukraine will produce 30 MMT of corn this year, almost reaching the record levels of last year, yet the harvest results to date suggest that something in the region of 22 MMT might be nearer the mark. Certainly some crops in Donetsk and Lugansk look like going unharvested this year, and anecdotal reports from elsewhere suggest that yields are significantly lower this year. Parts of the Upper Midwest and Northern Plains apparently got a touch frost over the weekend. Other areas got rain, potentially delaying harvest activity further in those regions. Both of those factors, along with some book-squaring ahead of Friday could be behind this morning's strength there. Benson Quinn said on Friday that they expect the US 2014 corn harvest to be 25-30% done in tonight's USDA crop progress report, with soybeans 22-27% done. Both estimates look on the high side to me. Huge crops look assured, but they're not quite in the barn yet - which is probably a good thing as the barn isn't big enough. Last week's US weekly export sales total of 741 TMT for wheat was the best in two months, and came despite the very strong US dollar. That supports the idea that demand for quality wheat is good. So too does the fact that EU soft wheat export licences are running at almost the same level as a year ago. Cumulative US wheat sales are now at 56% of the USDA's target for the 2014/15 season versus the 5-year average of 53% at this time.